The Kootenai County Democrats grabbed some sunscreen and hit the streets on July 8, 2017 for the Idaho Democratic Party “Summer of Resistance” canvass and training event. The Summer of Resistance is a 14-city, statewide summer program focused on training local volunteers, county precinct chairs, and activists on how to reach out to the members of our community who share Democratic and Progressive values. 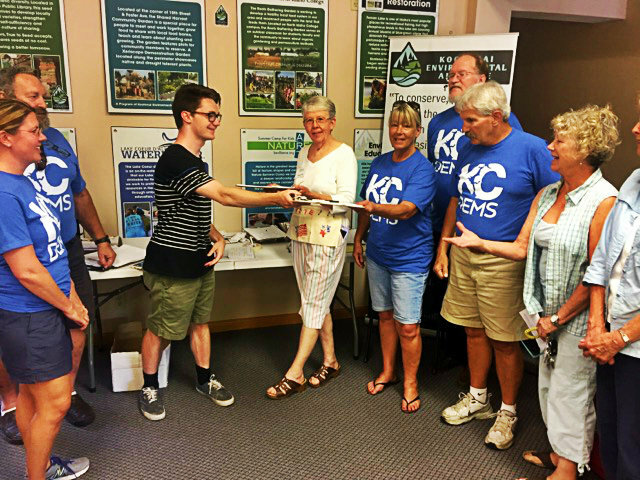 With the assistance of Dylan Simpson, the IDP Field Organizer from Boise, 21 Kootenai County Democrat precinct chairs and volunteers received training on energizing like-minded members of the community to become more involved at a grassroots level. Then, the volunteers brought the heat by contacting over 300 Kootenai County households in seven precincts within two hours! “Every person we contacted was encouraged by seeing neighbors advocating for our shared Democratic values,” said Precinct Organization Chair Courtney Beebe. The participants made calls, provided voter registration and absentee ballot information, promoted the new Kootenai County Democrats website and events, and sought out new precinct chairs. The event also provided an opportunity for volunteers to show off the new “KC Dems” logo. 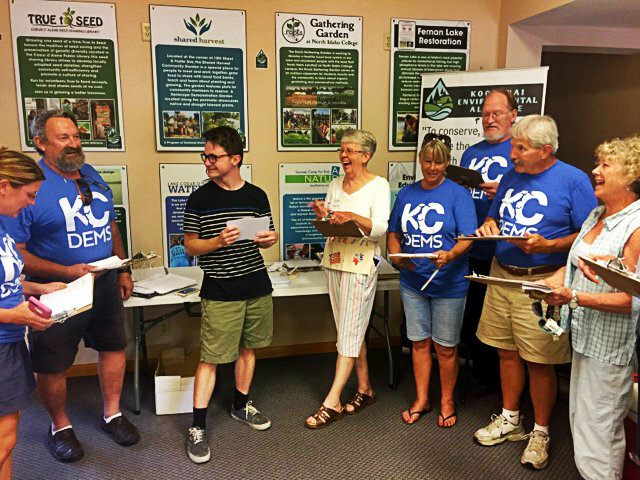 The Summer of Resistance canvassing event was so successful that the Kootenai County Democrats plan to hold similar events to energize our community. Check out the new Kootenai County Democrats webpage events tab or Facebook page for information on future grassroots efforts!